Picking up pretty much right where “The Hunger Games: Catching Fire” (2013) left off, the first of two installments of the final part of the trilogy captures the same gritty tone that the previous set up. Sadly, though, we just get more set up after the masterful previous film and have to wait another year to see the action-packed ending. 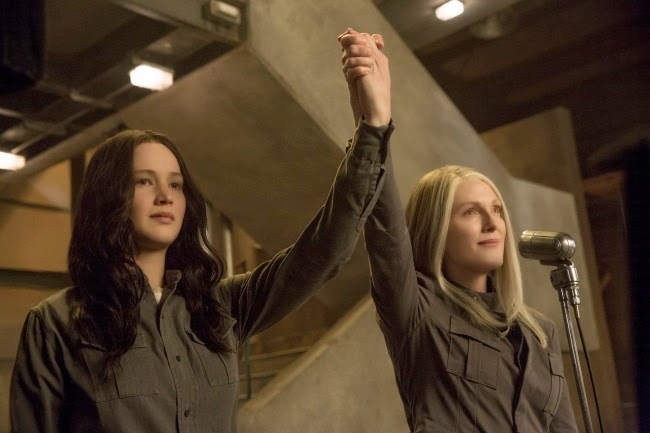 We can credit the continuation of tone to director Francis Lawrence (no relation to leading actress, Jennifer). Taking over after the first film to direct the final two/three, he has really done a great job making a visual spectacle out of a series of Young Adult novels that demands such. This one, just like the book, is the darkest yet. Almost too dark. After the takedown of the Games in the end of “Catching Fire,” Katniss Everdeen (Jennifer Lawrence) finds herself in District 13, where she has unknowingly become the symbolic leader (a living human Mockingjay) of a rebellious uprising against the evil Capitol. With her is her dear sister, Prim (Willow Shields), whom she saved from the Games in the first installment, and her mother (Paula Malcomson). Also back is the brilliant comic relief of Katniss’ Capitol etiquette coach, Effie Trinket (Elizabeth Banks), and her now sober Games coach, Haymitch Abernathy (Woody Harrelson). 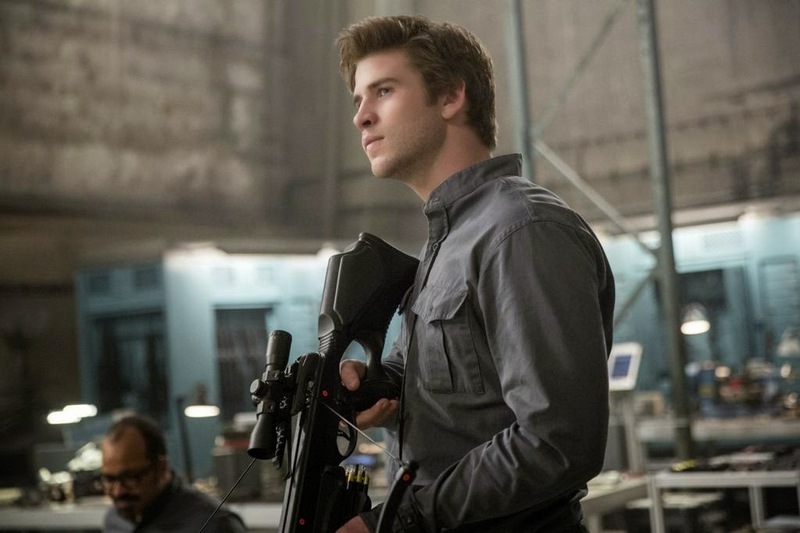 There is also Katniss’ best friend and hunting partner, Gale (Liam Hemsworth), who gets much more screen time here, as Katniss’ true love and District 12 Games partner, Peeta Mellark (Josh Hutcherson) is held captive and brainwashed by the Capitol. Rounding out the supporting cast is a team of propaganda filmmakers led by Capitol Gamemaker turned District 13 rebel, Plutarch Heavensbee (the late great Philip Seymour Hoffman in his last role), and President of District 13, Alma Coin (Julianne Moore), who plays a stark contrast of grayness to the bright white of Capitol President Snow (an evil Donald Sutherland). This movie takes its time to really develop all of these characters. Like the books, it is rich in symbolism (flowers, birds, colors) and historical reference, or allusion, (character names and set design). The Capitol is meant to be a post-modern Rome. However, it lacks in action (save a couple of tense scenes) and feels slow at times. But is that a problem? The problem of this movie is not really a problem with the movie. It’s that the movie has been split in two, so here we get all set up and barely any delivery. Part of me sort-of wishes that the producers had just figured out a way to make one long movie as opposed to giving us half of one and making us wait another year to shell out another ten bucks. The other part of me, the lover of the novel trilogy, is happy to see so much detail left in. I’m torn a bit. Its saving grace, apart from the fine direction, is the acting. Oscar-winner Jennifer Lawrence, taking on the role of the Districts’ Mockingjay, is great here, matching the dark tone of the film with a fierce performance. 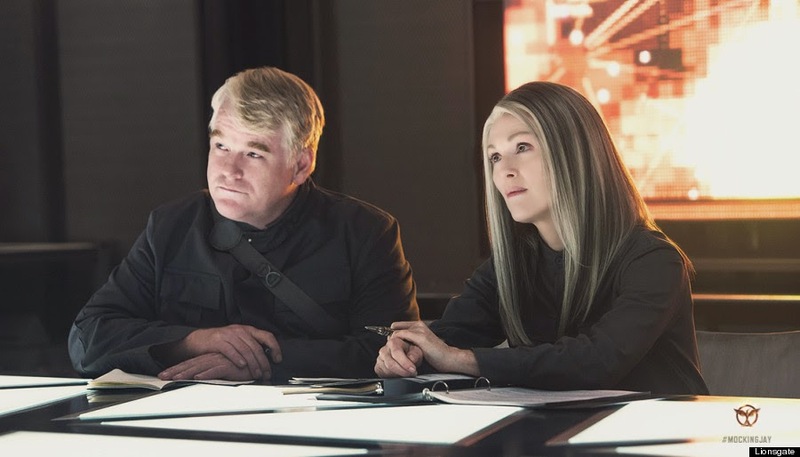 The great Julianne Moore is perfectly cast as the hard-to-read President Coin, and Philip Seymour Hoffman is heartbreakingly genius in his last great role. The rest of the supporting cast, new and old, is stellar as well. This is what makes the movie work. 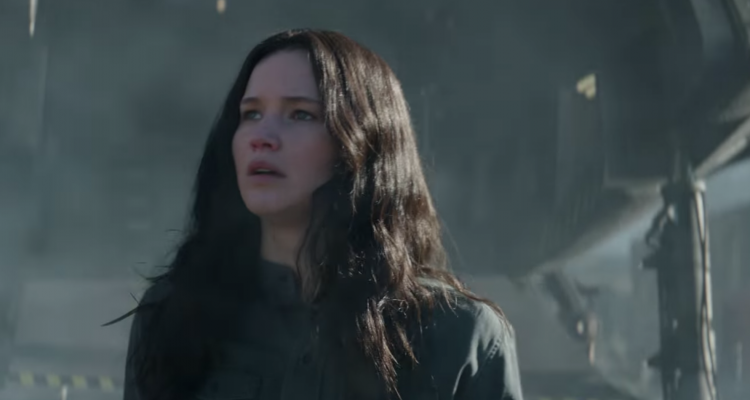 The ending will shock and surprise those both familiar and unfamiliar with Suzanne Collins’ novel trilogy. It is abrupt and powerful and perfectly timed as a breaking point of two halves of one whole. When I left, I wanted more, and I suppose that’s the point. Next year, I’ll be in line for the big finale, and, I’m pretty dang excited about it.